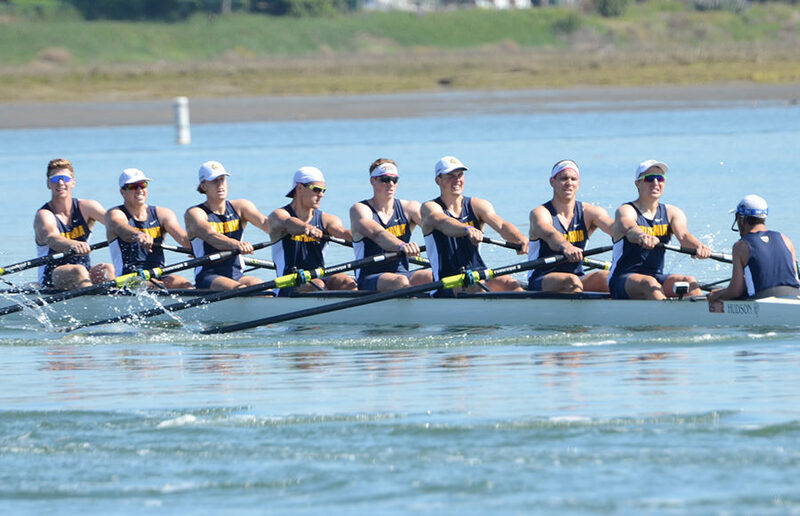 While medaling in three races may sound like a successful way to end a season, disappointment surrounded the Cal men’s crew team as they exited the water at Lake Natoma in Gold River, California. The Bears took silver in both the Varsity 4 and second Varsity 8 races while reeling in the bronze medal in the third Varsity 8 at the IRA National Championships. The disappointment, however, came with the poor finish of the first Varsity 8 as the team finished fifth in the Varsity Challenge Cup. While failing to repeat as IRA champions obviously stings, winning three medals in a fierce league is nothing to scoff about. 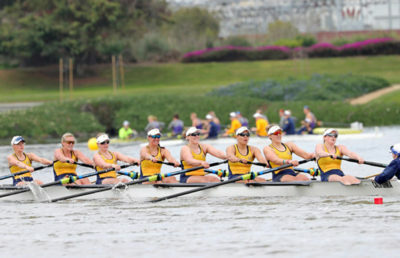 Sunday’s contest showed signs of improvement in some areas as Cal’s second-place finish in the second Varsity 8 was the team’s best finish in the event since 2014. The Bears’ second-place finish in the Varsity 4 was also its best finish in this race since 2015. 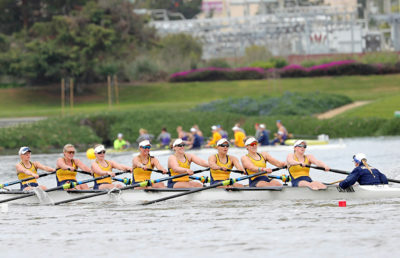 In the opening Varsity 4 race, Cal started off strong but lost its early lead to Washington. The Huskies — which took the Pac-12 title away from the Bears in mid-May — finished with a time of 6:23.81, besting Cal’s 6:28.35. The Bears were sandwiched in between two Ivy League boats during the third Varsity 8, falling to Harvard but inching out Yale by three seconds. The Bears took home their well-fought bronze medal with a time of 5:50.92. The tightest contest of the day followed as Cal just barely beat out Princeton for second place in the second Varsity 8 in a photo finish — 5:40.72 to 5:40.78. 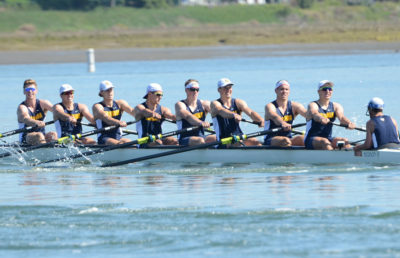 The Bears finished the championships with a fifth-place finish in the varsity eight. Despite Sunday’s less-than-favorable results, Cal will take its three medals, as well as its perfect regular season, into next year, where the Bears will look to once again stand tall at the IRA podium. Chris Tril covers men’s crew. Contact him at [email protected].